You know this thing about Sleeping Beauty Games? Cute-games.com has a new beautiful category of games named Sleeping Beauty games where you will meet princes Aurora and other characters from the movie which is an amazing fairytale. Disney assumed the story which was written by Grimm Brothers a long time ago and create a beautiful movie from where was raised a new Disney princess named Aurora. In Sleeping Beauty Games you can find 199 games that we've published for these kids and childrens that are interested to play Sleeping Beauty Games, this game gategory have been created on 08.01.2016. These games with Sleeping Beauty Games have been voted 1 times and the avarage of vote is 5.00 stars. We advice you to play the last flash game from Sleeping Beauty Games, Which Disney Princess Is that have been published on 24.09.2018 12:08. Which Disney Princess Is its a part of Princess Games category and until now its played 19257 times. Try it now on Cute-Games.com! Mermaid Princesses its a part of Princess Games category and until now its played 674 times. Try it now on Cute-Games.com! If your like the Mermaid Princesses game you can write a comment in the game page. Recommend this game to your friends if you like it! Princess Victoria Secret Show 2017 its a part of Princess Games category and until now its played 391 times. Try it now on Cute-Games.com! If your like the Princess Victoria Secret Show 2017 game you can write a comment in the game page. Recommend this game to your friends if you like it! Best Princess Awards its a part of Princess Games category and until now its played 486 times. Try it now on Cute-Games.com! If your like the Best Princess Awards game you can write a comment in the game page. Recommend this game to your friends if you like it! 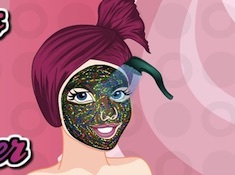 Princess Face Mix its a part of Princess Games category and until now its played 508 times. Try it now on Cute-Games.com! 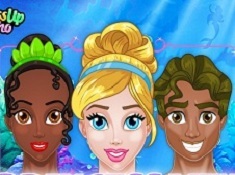 If your like the Princess Face Mix game you can write a comment in the game page. Recommend this game to your friends if you like it! Princess Aurora Room Decoration its a part of Sleeping Beauty Games category and until now its played 425 times. Try it now on Cute-Games.com! If your like the Princess Aurora Room Decoration game you can write a comment in the game page. Recommend this game to your friends if you like it! 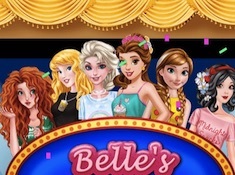 Bffs Ice Cafe Party its a part of Princess Games category and until now its played 431 times. Try it now on Cute-Games.com! 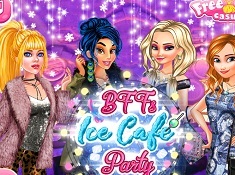 If your like the Bffs Ice Cafe Party game you can write a comment in the game page. Recommend this game to your friends if you like it! 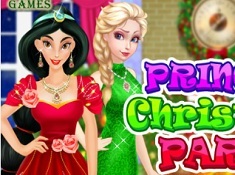 Princess Christmas Party its a part of Princess Games category and until now its played 468 times. Try it now on Cute-Games.com! 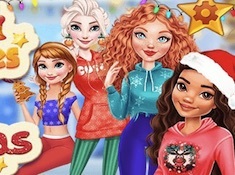 If your like the Princess Christmas Party game you can write a comment in the game page. Recommend this game to your friends if you like it! 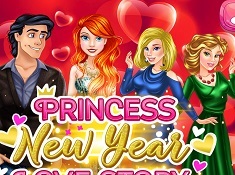 Princess New Year Love Story its a part of Princess Games category and until now its played 451 times. Try it now on Cute-Games.com! If your like the Princess New Year Love Story game you can write a comment in the game page. Recommend this game to your friends if you like it! Princesses Twelve Days of Christmas its a part of Princess Games category and until now its played 650 times. Try it now on Cute-Games.com! Princesses Welcome Winter Ball its a part of Princess Games category and until now its played 590 times. Try it now on Cute-Games.com! 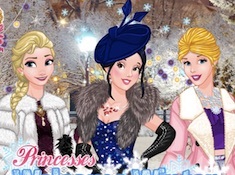 If your like the Princesses Welcome Winter Ball game you can write a comment in the game page. Recommend this game to your friends if you like it! 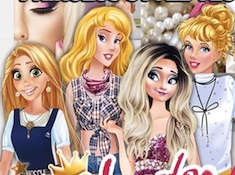 Princess Style Vlog Tips for Blondes its a part of Princess Games category and until now its played 556 times. Try it now on Cute-Games.com! 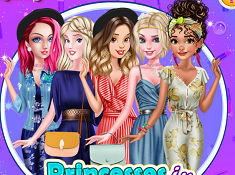 If your like the Princess Style Vlog Tips for Blondes game you can write a comment in the game page. Recommend this game to your friends if you like it! Aurora and Cinderella College Girls its a part of Princess Games category and until now its played 447 times. Try it now on Cute-Games.com! If your like the Aurora and Cinderella College Girls game you can write a comment in the game page. Recommend this game to your friends if you like it! Boyfriend Blazers Fashion its a part of Princess Games category and until now its played 482 times. Try it now on Cute-Games.com! If your like the Boyfriend Blazers Fashion game you can write a comment in the game page. Recommend this game to your friends if you like it! Dancing Festival at Princess College its a part of Princess Games category and until now its played 565 times. Try it now on Cute-Games.com! 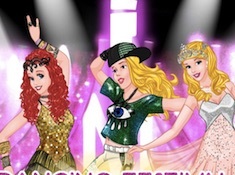 If your like the Dancing Festival at Princess College game you can write a comment in the game page. Recommend this game to your friends if you like it! Hip Hop House of Belle its a part of Princess Games category and until now its played 757 times. Try it now on Cute-Games.com! If your like the Hip Hop House of Belle game you can write a comment in the game page. Recommend this game to your friends if you like it! 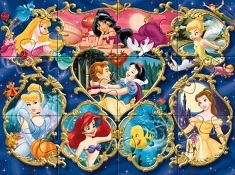 Disney Princess Jigsaw Puzzle its a part of Princess Games category and until now its played 640 times. Try it now on Cute-Games.com! 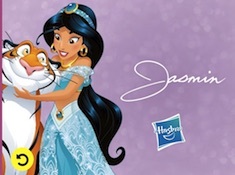 If your like the Disney Princess Jigsaw Puzzle game you can write a comment in the game page. Recommend this game to your friends if you like it! Aurora Becomes a Cat Person its a part of Sleeping Beauty Games category and until now its played 558 times. Try it now on Cute-Games.com! If your like the Aurora Becomes a Cat Person game you can write a comment in the game page. Recommend this game to your friends if you like it! Disney Girls Go To Monster High 2 its a part of Disney Games category and until now its played 624 times. Try it now on Cute-Games.com! Princesses Talk Show Vip its a part of Princess Games category and until now its played 562 times. Try it now on Cute-Games.com! 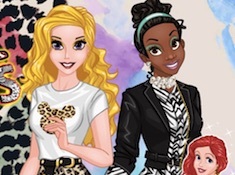 If your like the Princesses Talk Show Vip game you can write a comment in the game page. Recommend this game to your friends if you like it! Aurora Fan vs Celebrity its a part of Sleeping Beauty Games category and until now its played 578 times. Try it now on Cute-Games.com! If your like the Aurora Fan vs Celebrity game you can write a comment in the game page. Recommend this game to your friends if you like it! 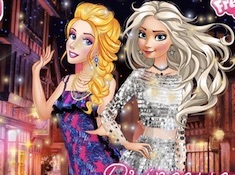 Teen Princesses Nightlife its a part of Princess Games category and until now its played 485 times. Try it now on Cute-Games.com! 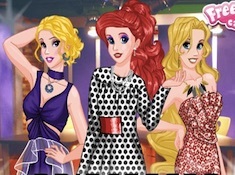 If your like the Teen Princesses Nightlife game you can write a comment in the game page. Recommend this game to your friends if you like it! Search the Princesses its a part of Princess Games category and until now its played 672 times. Try it now on Cute-Games.com! If your like the Search the Princesses game you can write a comment in the game page. Recommend this game to your friends if you like it! Aurora Back to School Haul its a part of Sleeping Beauty Games category and until now its played 470 times. Try it now on Cute-Games.com! If your like the Aurora Back to School Haul game you can write a comment in the game page. Recommend this game to your friends if you like it! Aurora Goes to School its a part of Sleeping Beauty Games category and until now its played 491 times. Try it now on Cute-Games.com! If your like the Aurora Goes to School game you can write a comment in the game page. Recommend this game to your friends if you like it! VIP Princesses Paris Fashion Week its a part of Princess Games category and until now its played 531 times. Try it now on Cute-Games.com! 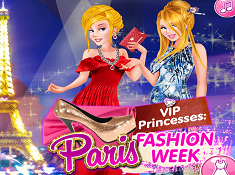 If your like the VIP Princesses Paris Fashion Week game you can write a comment in the game page. Recommend this game to your friends if you like it! 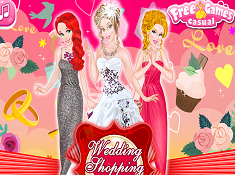 Princess Teen Lingerie Boutique its a part of Jasmine Games category and until now its played 877 times. Try it now on Cute-Games.com! 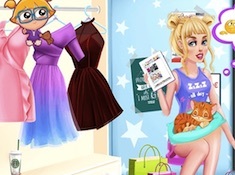 If your like the Princess Teen Lingerie Boutique game you can write a comment in the game page. Recommend this game to your friends if you like it! Princess Back to School Collection its a part of Princess Games category and until now its played 464 times. Try it now on Cute-Games.com! If your like the Princess Back to School Collection game you can write a comment in the game page. Recommend this game to your friends if you like it! 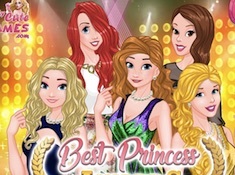 Princesses Housewives Contest its a part of Princess Games category and until now its played 632 times. Try it now on Cute-Games.com! 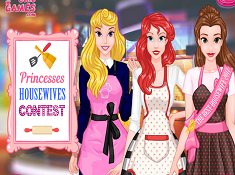 If your like the Princesses Housewives Contest game you can write a comment in the game page. Recommend this game to your friends if you like it! Princesses Homecoming its a part of Princess Games category and until now its played 506 times. Try it now on Cute-Games.com! If your like the Princesses Homecoming game you can write a comment in the game page. Recommend this game to your friends if you like it! Princess Titanic X its a part of Princess Games category and until now its played 754 times. Try it now on Cute-Games.com! 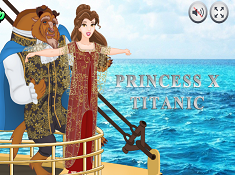 If your like the Princess Titanic X game you can write a comment in the game page. Recommend this game to your friends if you like it! Princess Red Carpet Collection its a part of Cinderella Games category and until now its played 834 times. Try it now on Cute-Games.com! 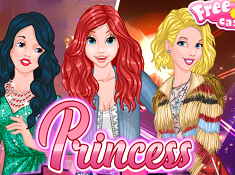 If your like the Princess Red Carpet Collection game you can write a comment in the game page. Recommend this game to your friends if you like it! 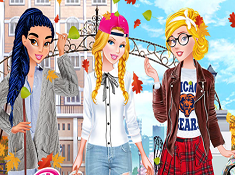 Your Fashion Fall Checklist its a part of Princess Games category and until now its played 597 times. Try it now on Cute-Games.com! 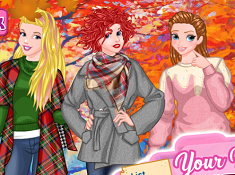 If your like the Your Fashion Fall Checklist game you can write a comment in the game page. Recommend this game to your friends if you like it! Princesses Open Art Gallery its a part of Princess Games category and until now its played 553 times. Try it now on Cute-Games.com! If your like the Princesses Open Art Gallery game you can write a comment in the game page. Recommend this game to your friends if you like it! Disney Princesses Go To Monster High its a part of Princess Games category and until now its played 798 times. Try it now on Cute-Games.com! 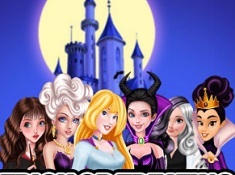 If your like the Disney Princesses Go To Monster High game you can write a comment in the game page. Recommend this game to your friends if you like it! 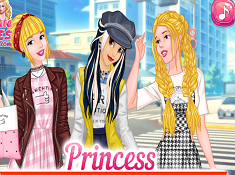 Princess Urban Fashion Statement its a part of Princess Games category and until now its played 625 times. Try it now on Cute-Games.com! 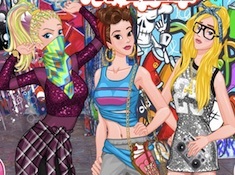 If your like the Princess Urban Fashion Statement game you can write a comment in the game page. Recommend this game to your friends if you like it! Princess Insta Challenge its a part of Princess Games category and until now its played 926 times. Try it now on Cute-Games.com! If your like the Princess Insta Challenge game you can write a comment in the game page. Recommend this game to your friends if you like it! Princesses in Jumpsuits its a part of Princess Games category and until now its played 837 times. Try it now on Cute-Games.com! If your like the Princesses in Jumpsuits game you can write a comment in the game page. Recommend this game to your friends if you like it! Princess Pop Party Trends its a part of Princess Games category and until now its played 653 times. Try it now on Cute-Games.com! 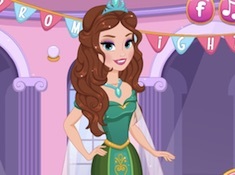 If your like the Princess Pop Party Trends game you can write a comment in the game page. Recommend this game to your friends if you like it! Princesses Flower Power its a part of Princess Games category and until now its played 584 times. Try it now on Cute-Games.com! 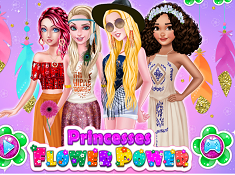 If your like the Princesses Flower Power game you can write a comment in the game page. Recommend this game to your friends if you like it! College Fashion Show its a part of Princess Games category and until now its played 626 times. Try it now on Cute-Games.com! If your like the College Fashion Show game you can write a comment in the game page. Recommend this game to your friends if you like it! Princess EDC Vegas its a part of Princess Games category and until now its played 608 times. Try it now on Cute-Games.com! 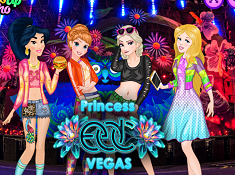 If your like the Princess EDC Vegas game you can write a comment in the game page. Recommend this game to your friends if you like it! Hollywood Movie Part for Princess its a part of Sleeping Beauty Games category and until now its played 610 times. Try it now on Cute-Games.com! 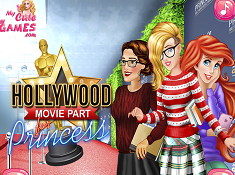 If your like the Hollywood Movie Part for Princess game you can write a comment in the game page. Recommend this game to your friends if you like it! 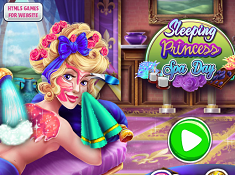 Sleeping Princess Spa Day its a part of Sleeping Beauty Games category and until now its played 522 times. Try it now on Cute-Games.com! If your like the Sleeping Princess Spa Day game you can write a comment in the game page. Recommend this game to your friends if you like it! Princess Hard Time its a part of Sleeping Beauty Games category and until now its played 787 times. Try it now on Cute-Games.com! If your like the Princess Hard Time game you can write a comment in the game page. Recommend this game to your friends if you like it! Princesses Welcome Summer Party its a part of Frozen Games category and until now its played 537 times. Try it now on Cute-Games.com! 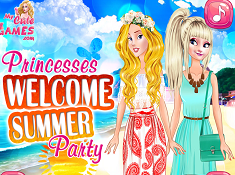 If your like the Princesses Welcome Summer Party game you can write a comment in the game page. Recommend this game to your friends if you like it! 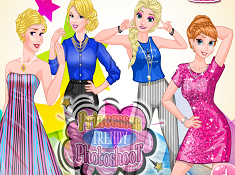 Princesses Trendy Photoshoot its a part of Princess Games category and until now its played 534 times. Try it now on Cute-Games.com! 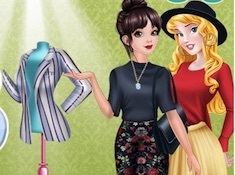 If your like the Princesses Trendy Photoshoot game you can write a comment in the game page. Recommend this game to your friends if you like it! Princess Denim Collection its a part of Princess Games category and until now its played 662 times. Try it now on Cute-Games.com! 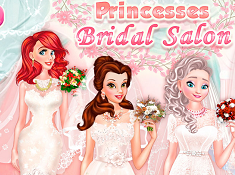 If your like the Princess Denim Collection game you can write a comment in the game page. Recommend this game to your friends if you like it! Design My Beach Pedicure its a part of Princess Games category and until now its played 591 times. Try it now on Cute-Games.com! If your like the Design My Beach Pedicure game you can write a comment in the game page. Recommend this game to your friends if you like it! 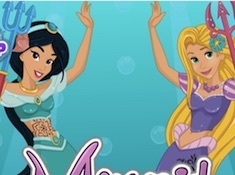 Princesses Beauty Secrets its a part of Ariel Games category and until now its played 467 times. Try it now on Cute-Games.com! 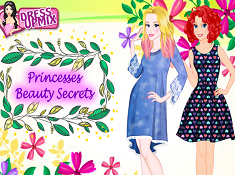 If your like the Princesses Beauty Secrets game you can write a comment in the game page. Recommend this game to your friends if you like it! Prom Ball at Princess School its a part of Princess Games category and until now its played 699 times. Try it now on Cute-Games.com! 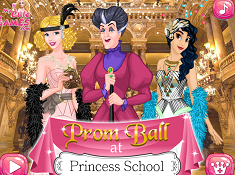 If your like the Prom Ball at Princess School game you can write a comment in the game page. Recommend this game to your friends if you like it! Find More About Sleeping Beauty Games! The story begin in a faraway kingdom where King Stefan and Queen Leah give birth to a beautiful girl which received like gifts the beauty and song from three godmothers which are Flora, Fauna and Merryweather. Even if she was protected by the three godmothers, there was an enemy, a vain witch named Maleficent which was jealous on the little girl so she put a curse on Aurora. The curse consists in the fact that when Aurora will be sixteen she will prick her finger on the spindle from a spinning wheel and she will die but, fortunately the godmother Merryweather change the curse so when she will prick her finger she will fall asleep until her true love will come and kiss her. To protect the princess from the curse the three godmothers were hiding her in a forest and change her name in Briar Rose and she lived happy until her sixteen birthday when the godmothers decided to tell her that she is a princess. In the forest Aurora met a handsome man which falls in love with her voice because she was singing in the most beautiful way and even the animals loves her and her voice reason for why Aurora is a very best friend of animals. When she find out that she is a princess, the godmothers also said to her that she is not allowed any more to see that man and decided to bring her back to the castle. After the conversation the three godmothers let her alone for a few minutes to can meditate of her future and suddenly Aurora start walking after she find a secret room where she saw a spinning wheel. Even the godmothers tried to stop her, the spell of Maleficent was to strong and Aurora pricking her finger and she falls in an eternal sleep moment when the Kingdom was in pain. The godmothers tried a lot of solutions to help the princes but they can`t find anything until they realized that the man from the forest which falls in love with Aurora is prince Phillip and they bring him to the princess. On their road to Aurora, Maleficent appeared to stop the prince get there but Philip fights with the witch and at the final he succeed to destroy her so, he went quickly to the princess and he kissed her on her lips. After a few seconds, Aurora woke up and Philip explains everything to her and they were going together down the stairs where her family was waiting happily for her and the scene ends with a dance between Princess Aurora and Prince Phillip. After all that was happening everybody decides that the two have to marry each other so, the Kingdom was preparing for a beautiful wedding and our princess finally lived happily ever after. Princess Aurora is a blonde girl with a beautiful hair, beautiful face and red lips like roses and you can see her dressed in her blue and long dress or in her pink dress, both very elegant. As you can see in that story good beats evil and our princess is a heroine too, like all Disney`s princesses which are good examples for little girls which want to grow up in a beautiful way. For that we tried to bring to you the most beautiful Sleeping Beauty games where you will have to help the princess and protect her from the Maleficent so, you will have to fight with her and destroy her. In other games you will have to take care of her beauty by making her hair, her make-up, choosing new outfits for her and also you will have to cook along with her, to sing, to dance and many other fun activities. In these games you will meet also Prince Philip and many other characters which are waiting for you to have a lot of fun and to go through amazing adventures. Cute-games.com hopes that you will enjoy our free Sleeping Beauty games and also, if you want other games that we haven`t published you can tell us what game do you want and we will publish it for you.